I'm back after a short holiday overseas. 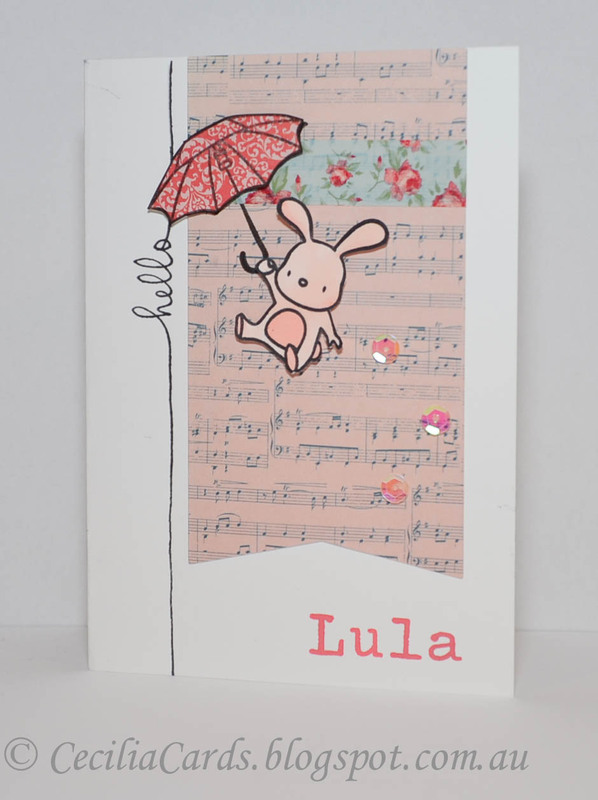 I've had to make a card on the weekend I got back for a baby girl. 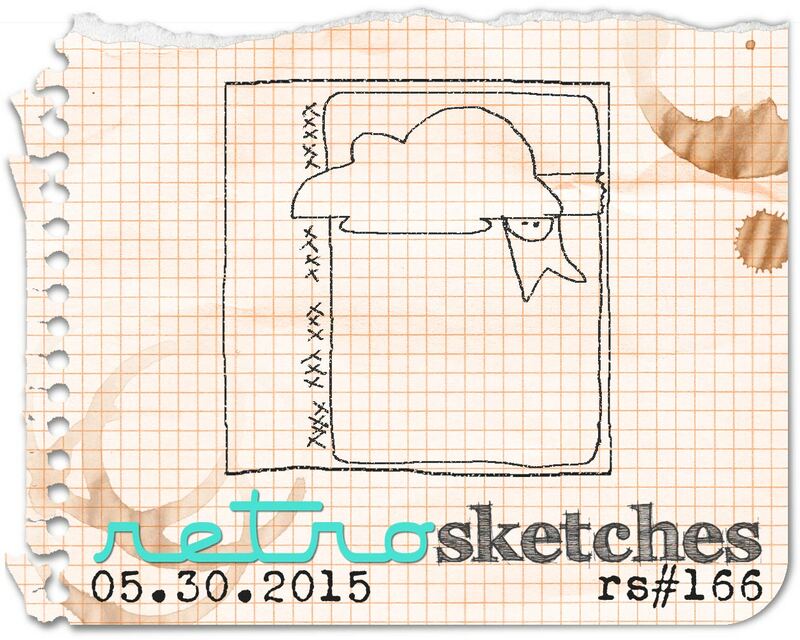 I decided to use the current Retro Sketch #166 and combined it with some lovely paper from Kaisercraft Procelain Rose. I'm also adding this to Simon Says Stamp Wednesday Challenge - Anything Goes. 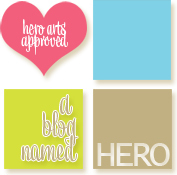 The stamp sets are from Mama Elephant, Darkroom Door and Hero Arts. 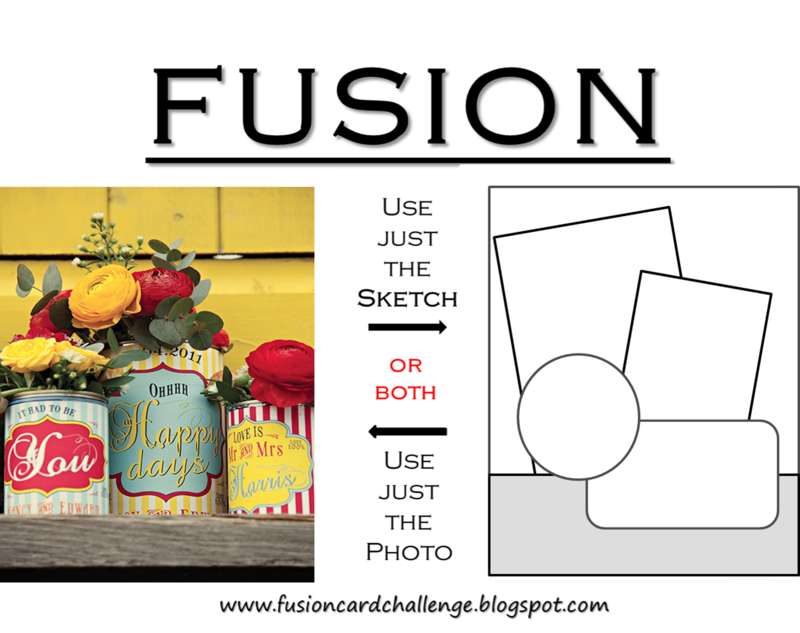 I'm getting ready for an overseas trip and got a last minute request to make a first birthday card. 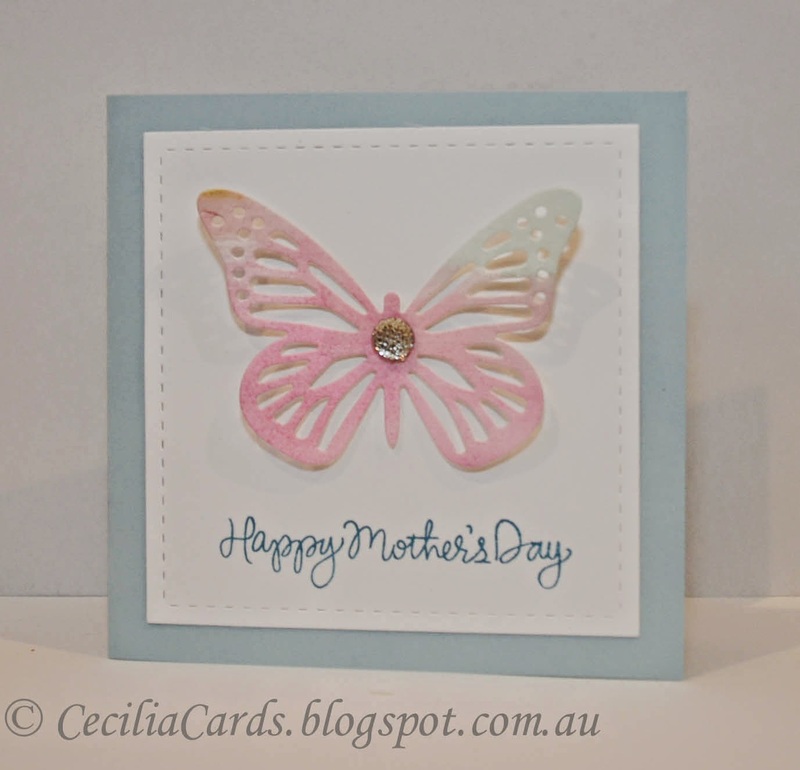 I decided on the sketch from CAS(E) this Sketch #123 and used some cute Mama Elephant stamps to make this card. 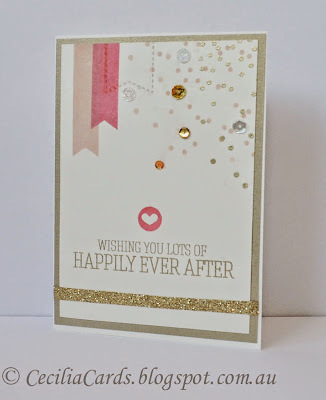 It all came together very quickly with the help of some pretty papers from Basic Grey and my trusty Misti. 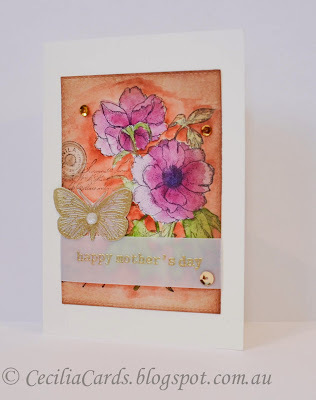 I'm also adding this card to Mama Elephant's May Challenge - Oooh that's pretty! 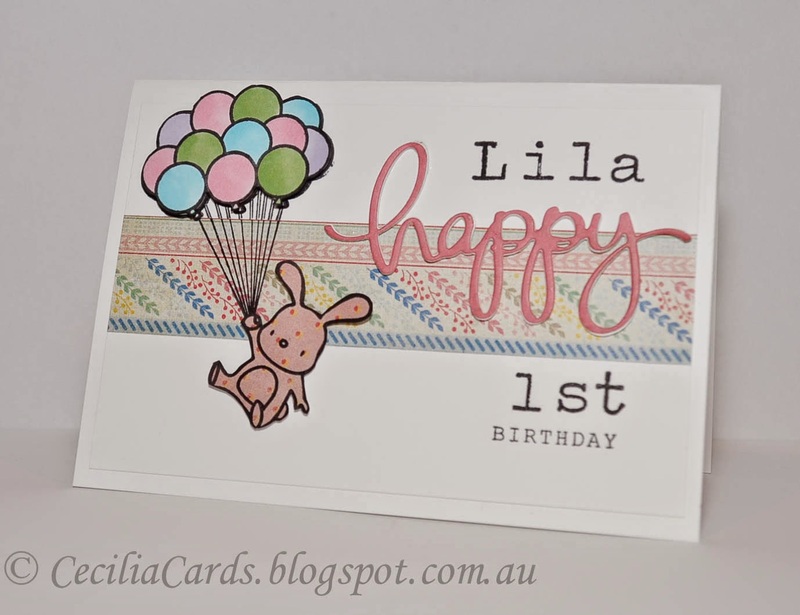 My Simon Says Stamp May kit finally arrived today and I couldn't wait to make a card with the goodies inside. 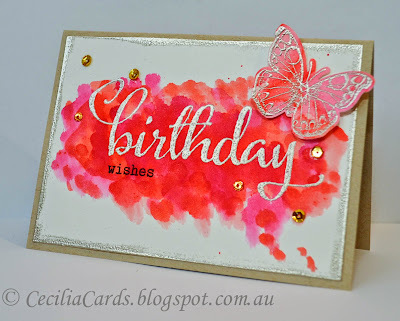 I've made this card by stamping the background with the stamp set and ink that comes with the kit. 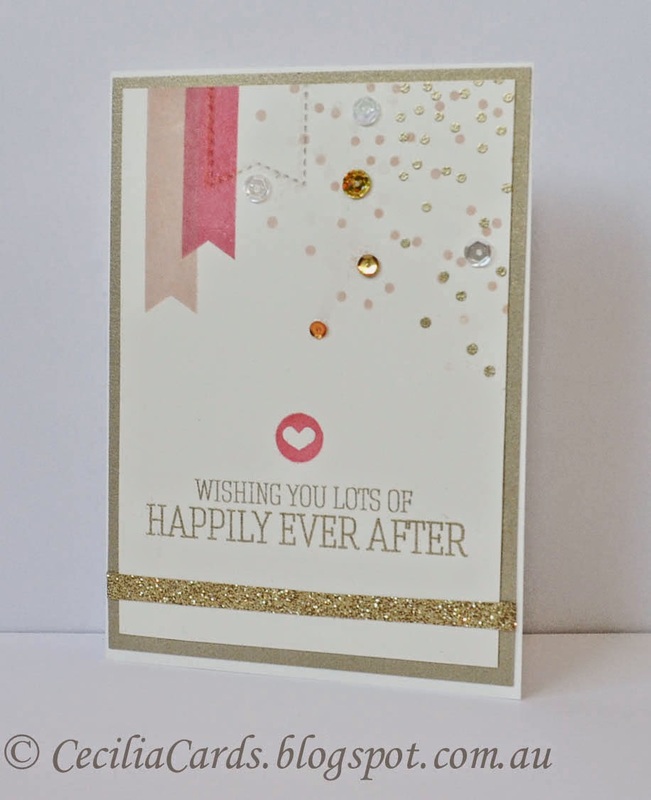 I'd also added a bit of HA Pale Tomato and gold embossing. 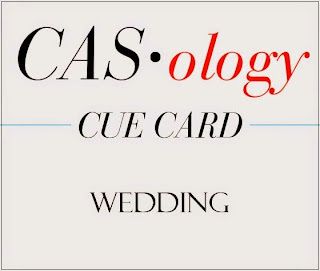 I'm adding this card to the Simon Says Stamp Flickr Challenge#19 - Make your own background and CASology Week 147 -Wedding. Thanks for dropping by! 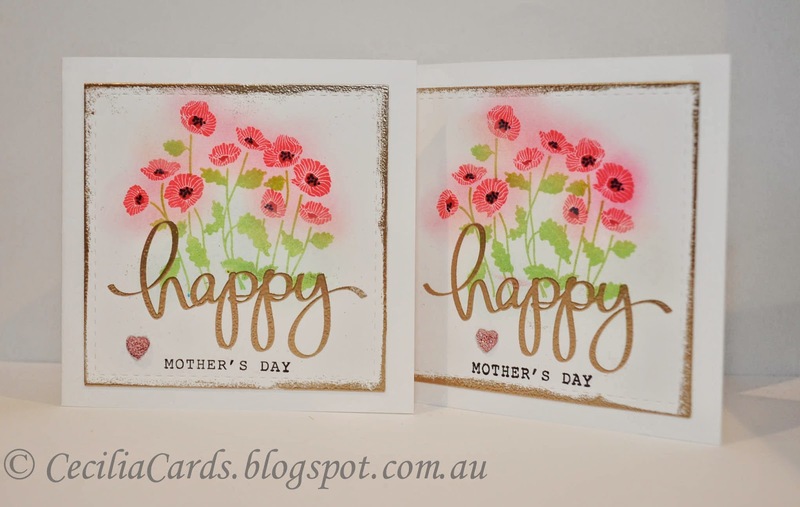 I have three more Mother's Day cards to share on this special day. 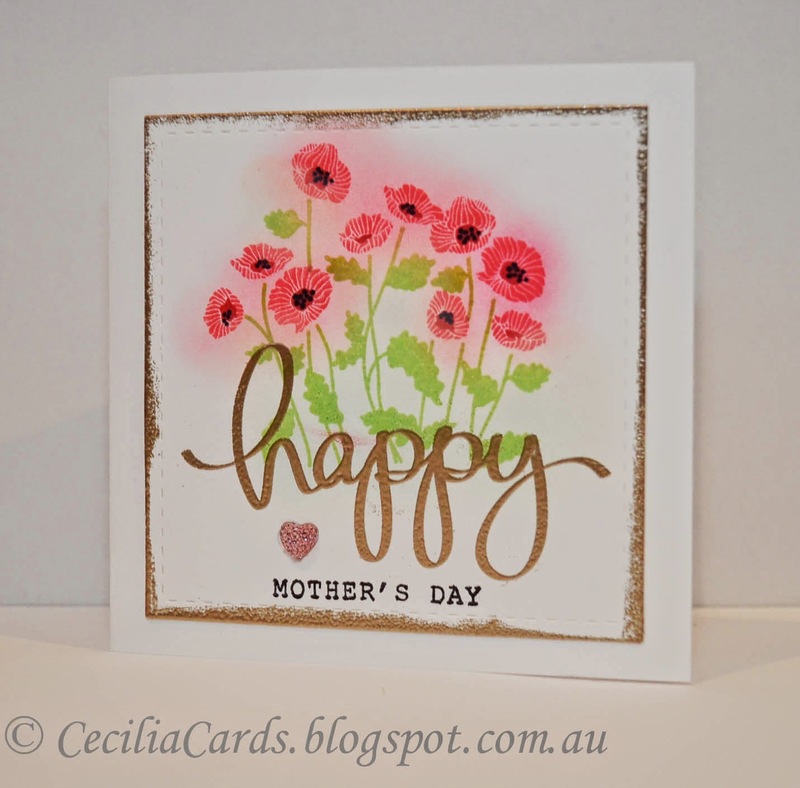 Happy Mother's Day to all the Mums, enjoy being spoilt today! 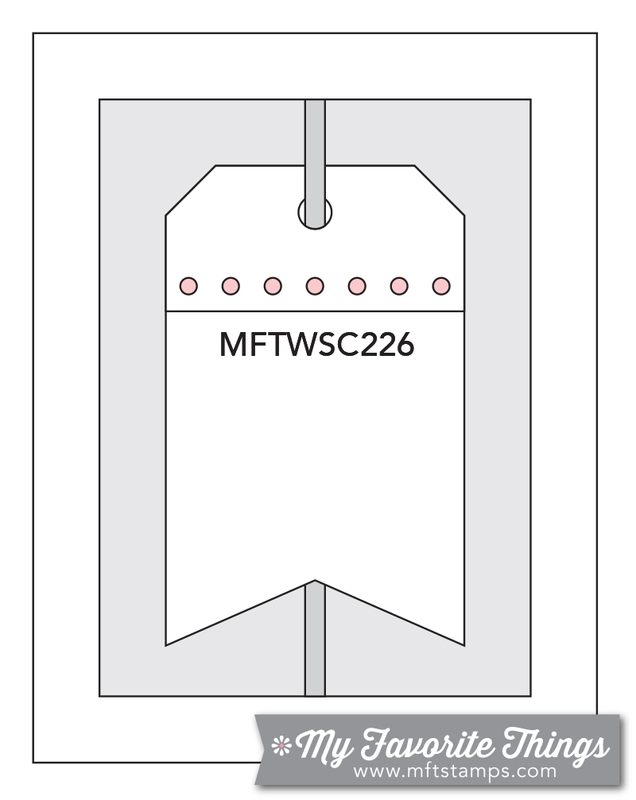 Making two was easy with my new MISTI! This one was made with leftover watercolour distress ink wash from a card a couple of weeks ago. 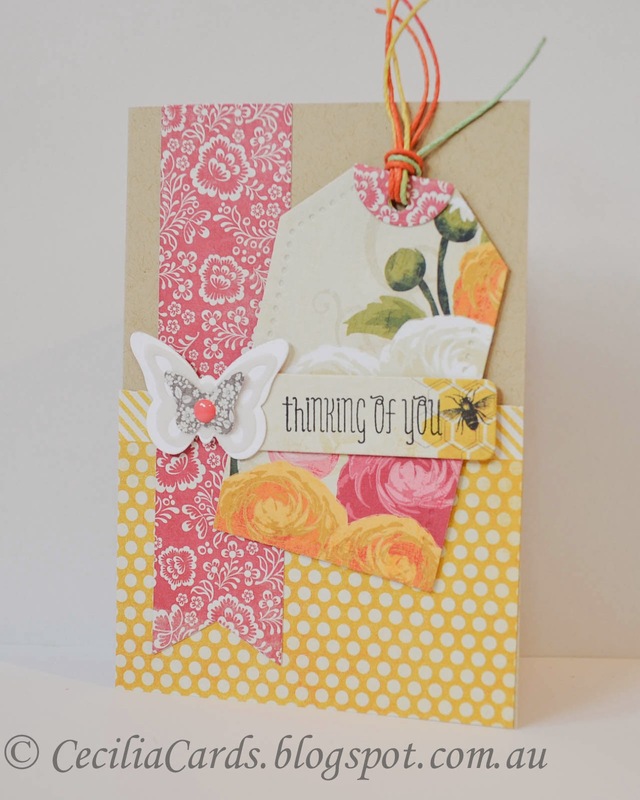 The die cuts are from Lil Inkers and MFT and the sentiment from Simon Says Stamp. 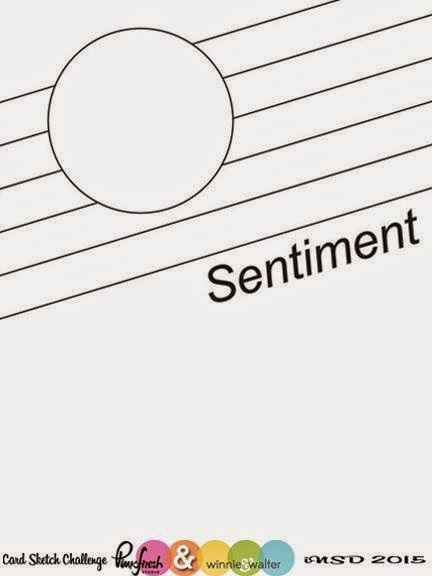 Just a quick and simple one to make. 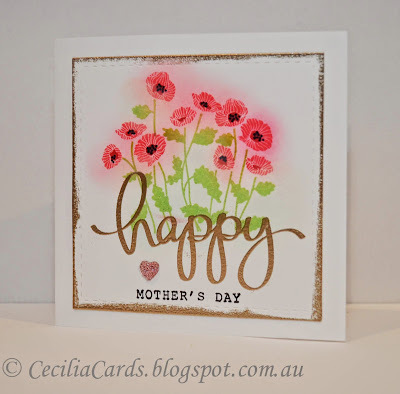 I have another card to share which was really quick and easy to make. I have a whole stash of washi tape and it has been ages since I've put them to good use. 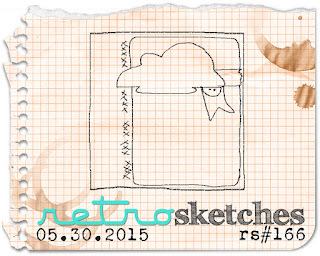 When I saw this sketch for the iNSD 2015 with Pinkfresh Studio Card Sketch Challenge, I headed straight for my stash. 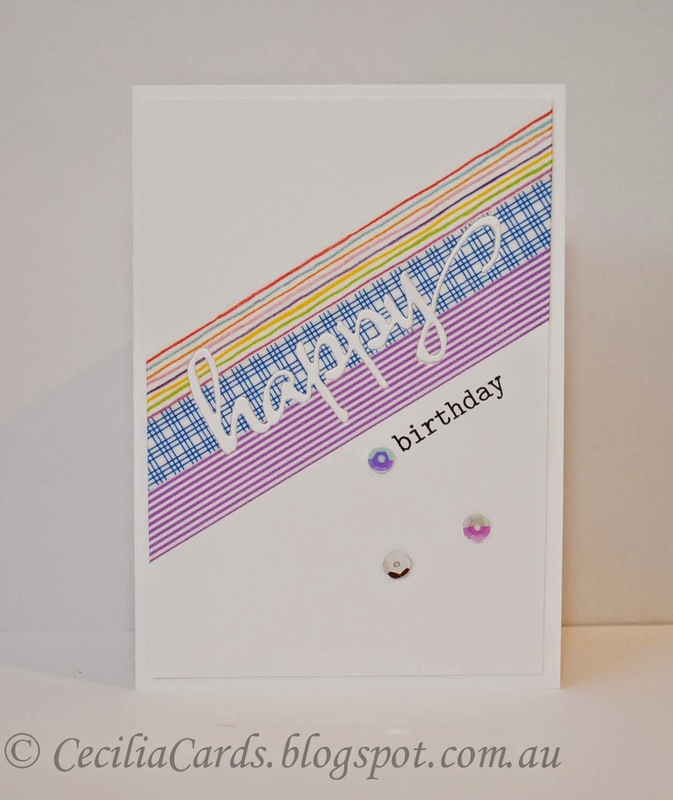 This is actually the second card I made as I was not too happy with the first one (I used 4 different tapes). 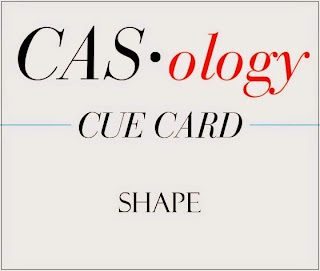 Here is my card with the sketch below it. I'm also adding this card to Simon Says Stamp Wednesday Challenge - Let's get Sentimental. Thanks for dropping by! I was lucky to pick up the new Tim Holtz distress ink 'Abandoned Coral' recently at a Papercraft Expo. 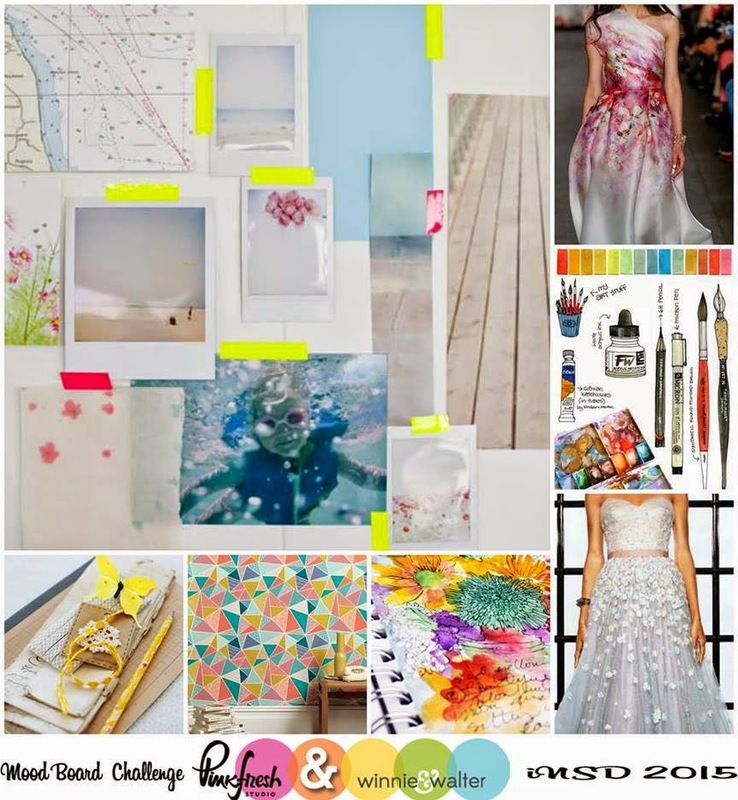 I decided to use the mood board from Winnie and Walter's iNSD 2015 with Pinkfresh Studio - Mood Board Challenge for inspiration (the top right dress) and added some Picked Raspberry as well. For the embossing, I used my all time favourite - Ranger Liquid Platinum! 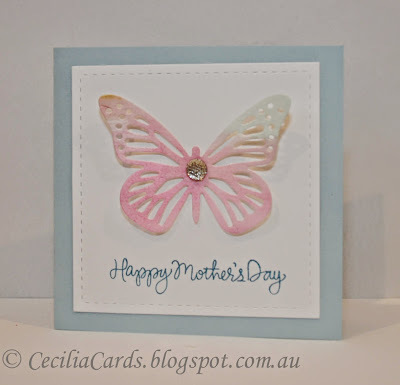 The embossed butterfly was an afterthought when the card was finished! 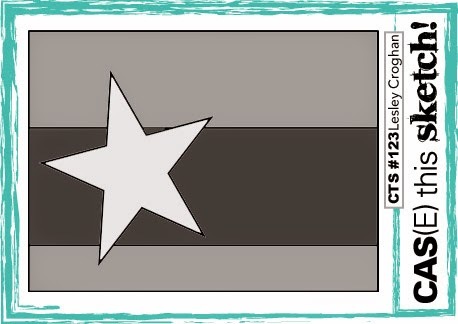 Love how the two colours blend together! 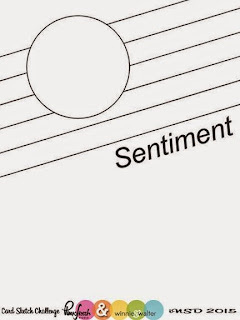 I'm also adding this to Simon Says Stamp Monday Challenge - Don't Abandon the Coral and the Wednesday Challenge - Let's Get Sentimental. 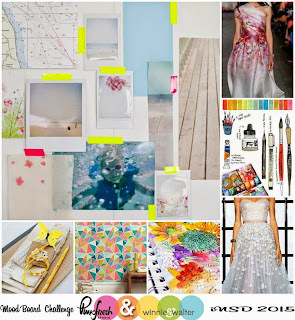 Here is my card and the mood board below that. Thanks for dropping by! 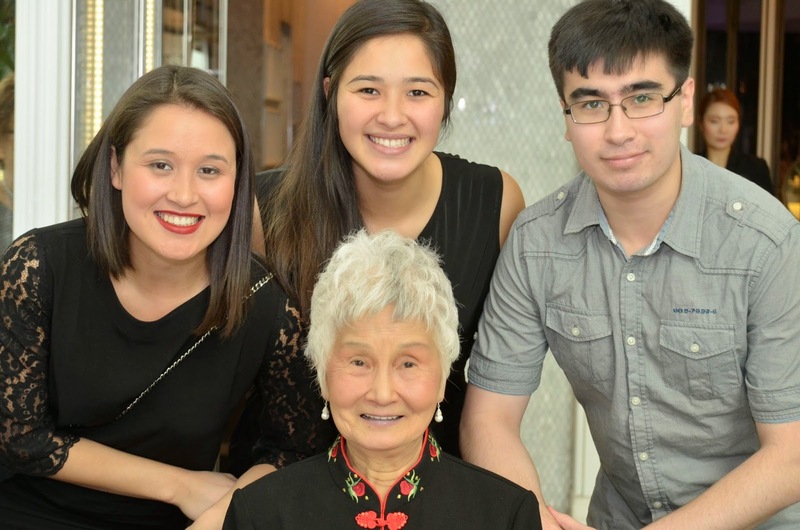 When I saw the challenge photo on the recent Fusion Challenge, I pulled out an all time favourite collection from My Minds Eye - The Sweetest Thing. The patterns are just perfect! 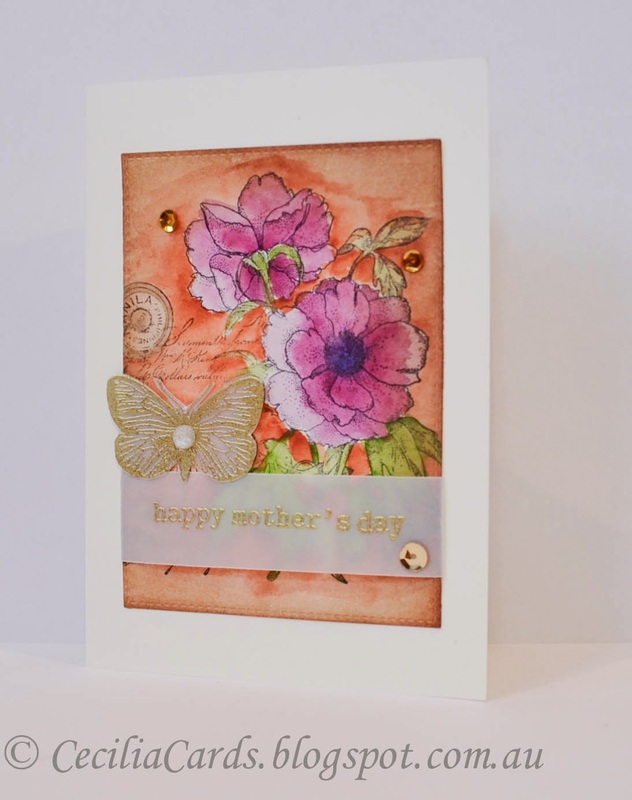 This is one of my favourite collections and I have used up half of the pad, the rest of the left over pieces are all kept... for that special card! 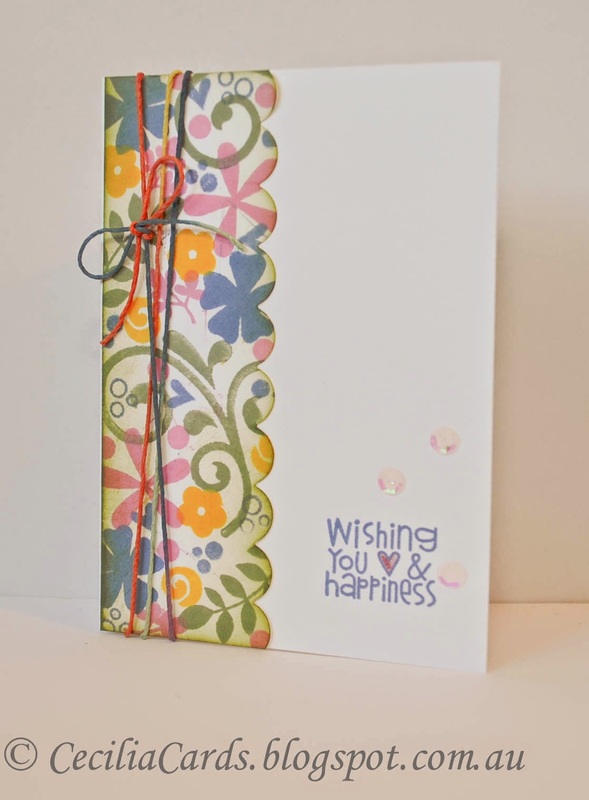 Very little stamping went into this card (WPlus9 sentiment) but lots of dies from MFT and PTI to put this beauty together! I'm also adding this to Simon Says Stamp Wednesday Anything Goes Challenge. Thanks for dropping by! 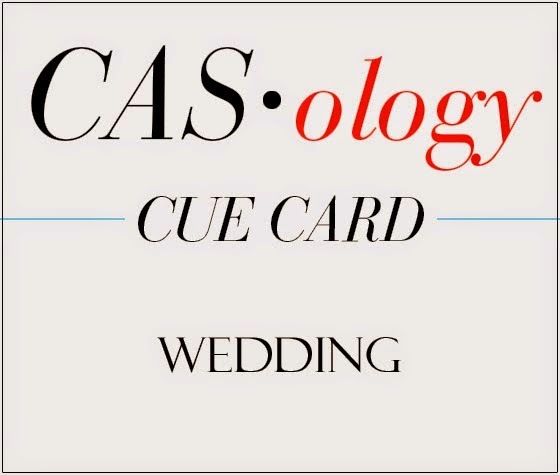 I had this card prepared a little while ago. 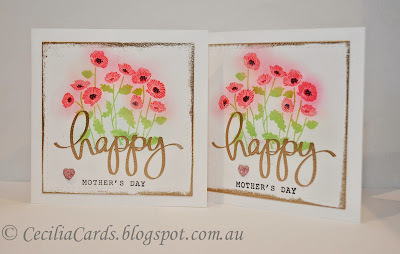 The idea for the card came together very easily with the help of some new stamps from Winnie and Walter, my favourite Altenew Painted flowers stamp set and using watercolours with distress inks. Just the outline of the flowers were stamped randomly and the then coloured with Picked Raspberry, Seedless Preserve and Mowed Lawn. 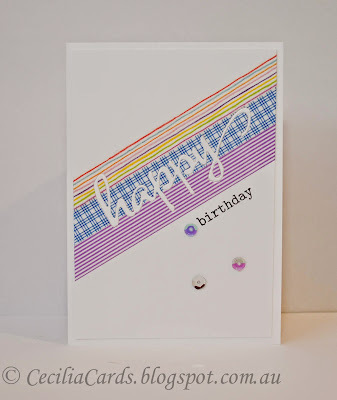 I'm adding this card to Winnie and Walter's iNSD 2015 with Pinkfresh Studio Challenge - Create your own background and Simon Says Stamp Wednesday Challenge - Anything Goes. 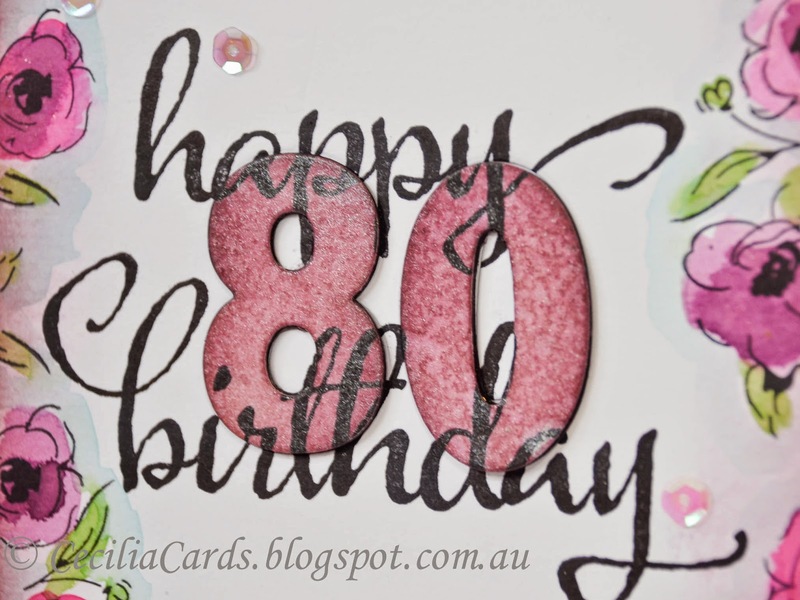 This card was given to my Mum today for her 80th birthday! 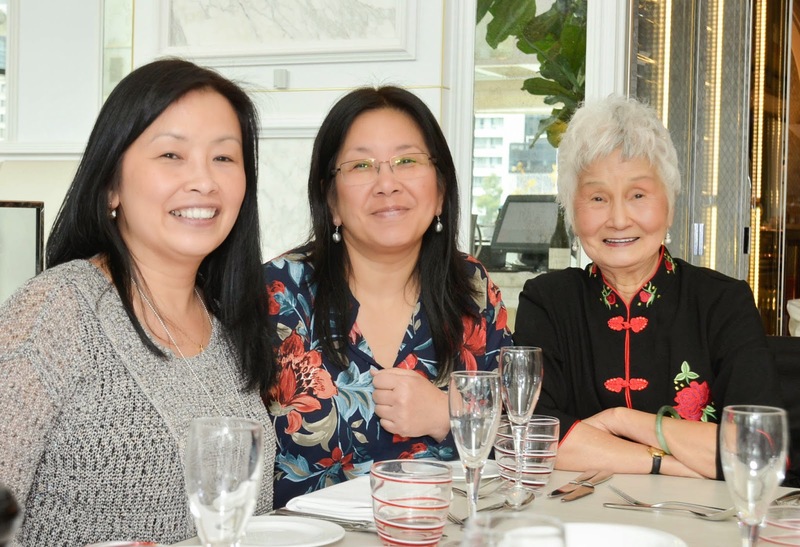 We had a lovely buffet lunch at The Conservatory at Crown followed by a photo shoot with the family. Scroll down for some of the photos taken today. Thanks for dropping by! 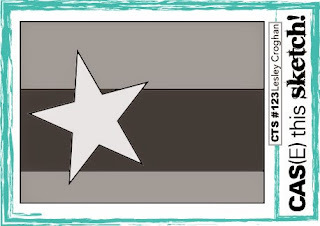 I had fun making this card in between doing some chores today. It's been a while since I have used my PS stamps and I thought the current PS Sparks Designer Challenge had a very interesting sketch. 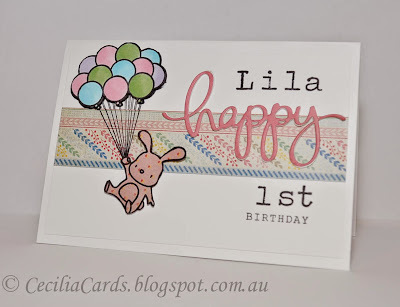 I used my favourite and my oldest PS stamp set for this challenge. I'm also adding this to SSS Wednesday Anything Goes challenge. 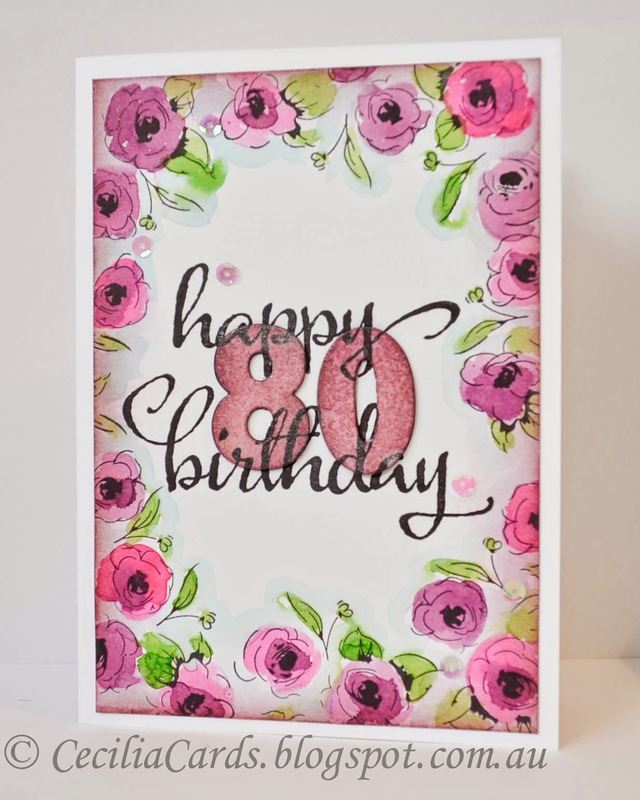 I've got a special card to share tomorrow, so do drop by! It's been a while since my last MFT challenge. 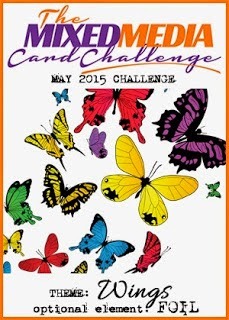 Since I have quite a few new MFT dies, I thought I would give this challenge a go. 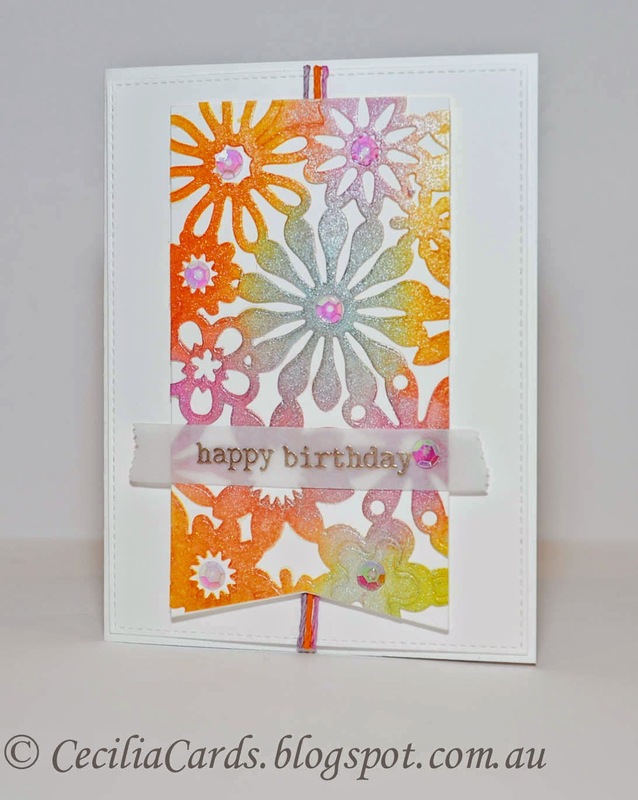 I used the MFT Floral Fusion with a few dies from the Blueprints 13 set to make this card. 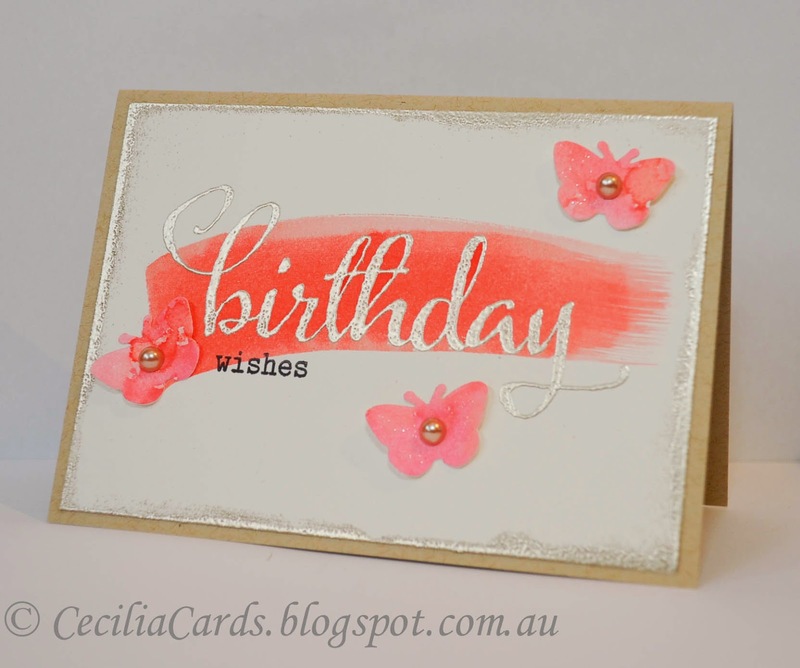 Sorry the photo was taken at night, but you can see the shimmer from the Perfect Pearls I used over the distress inks. 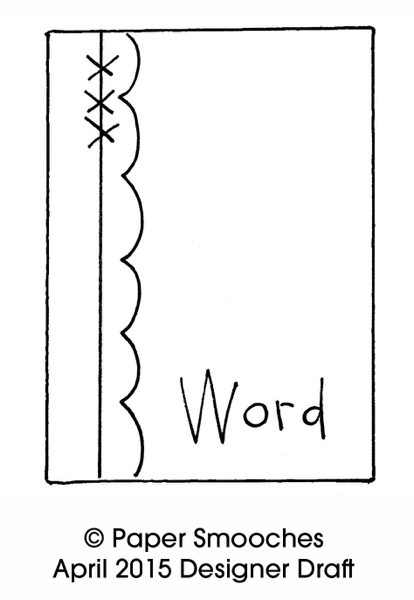 I'm also going to add this to Simon Says Stamp Wednesday Challenge - Anything Goes. Thanks for dropping by!